Canara Bank is an Indian state-owned bank headquartered in Bangalore, in Karnataka. It was established at Mangalore in 1906, making it one of the oldest banks in the country. The government nationalized the bank in 1969. As of November 2015, the bank had a network of 5784 branches and more than 9153 ATMs spread across India. The bank also has offices abroad in London, Hong Kong, Moscow, Shanghai, Doha, Dubai, and New York. Ammembal Subba Rao Pai, a philanthropist, established the Canara Hindu Permanent Fund in Mangalore, India, on 1 July 1906. The bank changed its name to Canara Bank Limited in 1910 when it incorporated. Canara Bank's first acquisition took place in 1961 when it acquired Bank of Kerala. Bank of Kerala had been founded in September 1944 and at the time of its acquisition on 20 May 1961 had three branches. The second bank that Canara Bank acquired was Seasia Midland Bank (Alleppey), which had been established on 26 July 1930 and had seven branches at the time of its takeover. 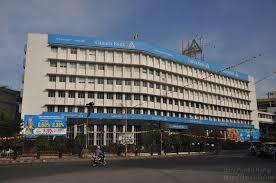 In 1958, the Reserve Bank of India had ordered Canara Bank to acquire G. Raghumathmul Bank, in Hyderabad. This bank had been established in 1870, and had converted to a limited company in 1925. At the time of the acquisition G. Raghumathmul Bank had five branches. The merger took effect in 1961. Later in 1961, Canara Bank acquired Trivandrum Permanent Bank. Trivandrum Permanent Bank had been founded on 7 February 1899 and had 14 branches at the time of the merger.